It is not me you try so hard to please. Your sweetest hue meant only for the bee. I love the golden arcs you throw (Photo Credit: Charles J Sharp). This is a Heroic Rispetto, inspired by recent research that has found how several flowers have nanoscale ridges on the surface of their petals, which produce a ‘blue halo’ that helps bees to locate them. Bees have enhanced photoreceptor activity on the blue to ultraviolet parts of the colour spectrum, meaning that those colours are more easily identifiable to them. As such many species of bee are likely to target flowers in the blue-violet part of the visible spectrum, meaning that any plants that have flowers in these colours can increase their chances of survival through pollination. However, what about those plants that are unable to produce blue pigments for their flowers in order to lure bees? New research has found that several flower species actually have nanoscale (dimensions of the order of a billionth of a metre) ridges on the surface of their petals which scatter light particles in the blue and ultraviolet parts of the colour spectrum, thereby generating a subtle effect that has been dubbed the ‘blue halo.’ By artificially manufacturing these surfaces in the lab, researchers were able to show that bees could detect this blue halo, and were thus able to locate the flowers more efficiently. Species that were found to have this blue halo effect include the evening primrose Oenothera stricta, and the daisy Ursinia speciose. 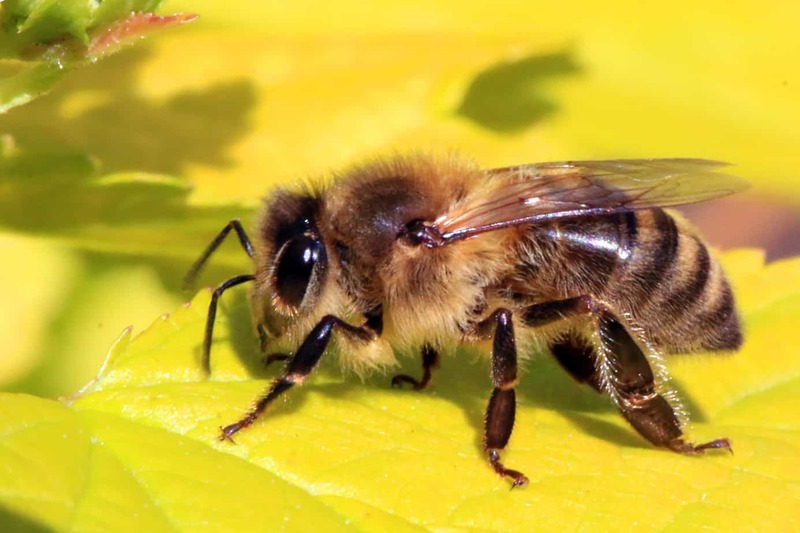 As well as revealing new information about what attracts bees to certain flowers, findings from this research could potentially be used to develop surfaces that are highly visible, and thus more attractive, to pollinators. Absolutely fascinating Sam! I’ll make sure I introduce the flowers identified into my garden next Spring. Nice poem BUT the photo is of a fly, not a bee!